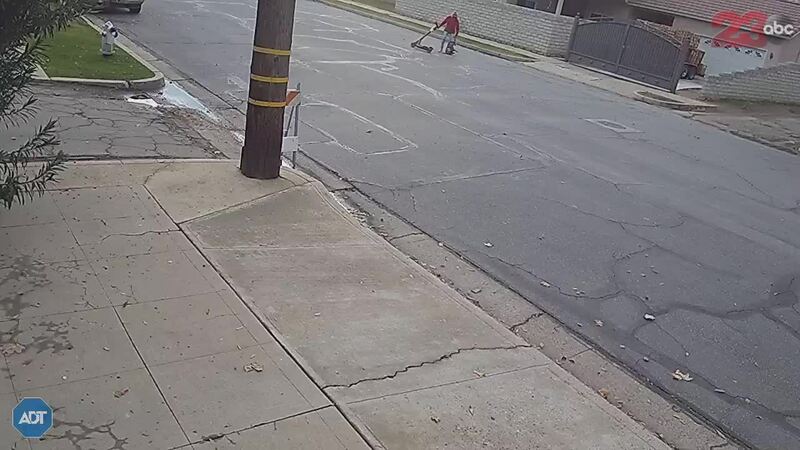 Viral video that's making the rounds on social media appears to show a woman on an electric scooter dragging a dog in Bakersfield. Scripps affiliate KERO-TV was made aware of pictures showing a person holding a bloody dog over the weekend. A viewer shared on Monday surveillance video that shows the moments the person is traveling in the area of Downtown Bakersfield with the dog dragged behind. Bakersfield Police says it's investigating the incident. No arrests have been made and no charges have been filed.